instant tanning services and advanced Red Light therapy. 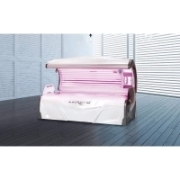 SUNBED TANNING Featuring three kinds of state-of-the-art tanning booths each in their own ventilated rooms, Tankind offers the absolute best in tanning technology. 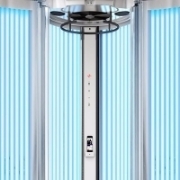 INSTANT TANNING Come and try our Californian style tan in our state of the art spray station! Choose from three shades to suit your own unique skin tone. Our innovative spray tan delivers streak free, flawless application. RED LIGHT THERAPY Stimulates the production of natural collagen and elastin in the body and increases circulation by the formation of new capillaries which speed up the healing process of damaged skin. Great for keeping skin looking young, pain relief and wound healing. BEAUTY BY SOPHIE Tankind is extremely fortunate to have Sophie as part of our team. Her services include eyebrow and eyelash perfection including eyelash enhancements and new to Harrogate, an innovative kind of Shellac that can last up to three weeks. Facial threading is also available.